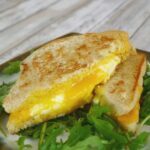 This low carb grilled cheese uses low carb bread, cheese, butter, mayo, and a fried egg for the ultimate grilled cheese experience! Aaaaahhhh, grilled cheese. The standard American easy quick-fix meal loved by so many! Except, perhaps, those that can’t eat bread. And that’s why I’m here! Now, I’ll confess that I *have* seen low carb recipes that involve anything from tortillas to cauliflower bread to use in place of normal bread. And although I’m no baker, I just can’t see that that would work well as an alternative. I recently wrote a guide to buying low carb bread. The results were very interesting, and overall I was impressed with the high standards. But also, I ended up with a LOT of low carb bread. 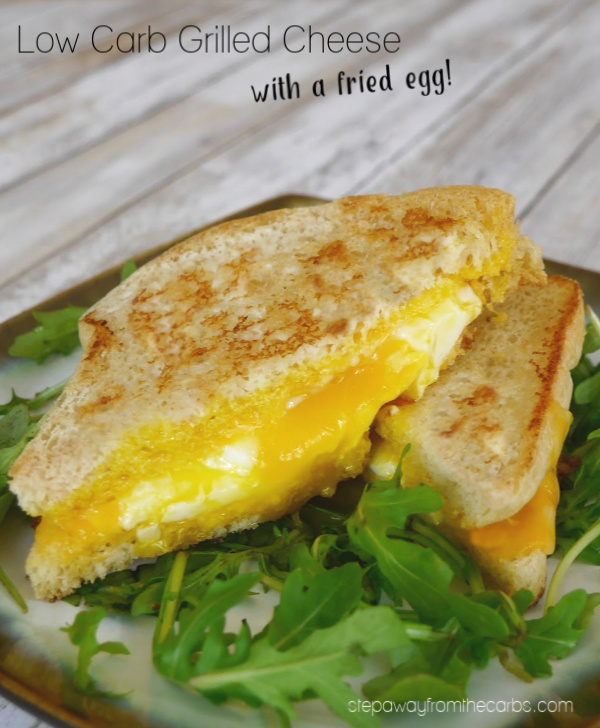 So, why not make a grilled cheese? I’m sorry if this seems obvious to some, but when I’ve made a grilled cheese for my son, I’ve made it under the broiler. Because what Americans call a broiler, we Brits call a grill. This method actually works just fine, especially if you pre-toast the bread in the toaster. Which reminds me, in the UK we have this dish called “cheese on toast” which is essentially a grilled cheese minus one slice of bread. It’s a cheese to bread ratio thing. My husband once attempted to make cheese on toast by putting a toaster on its side. Let me assure you that the result was not successful. ANYWAY. I am now enlightened in the ways of grilled-cheese-making, and now I pan fry them in a small non-stick skillet. With butter. But after some research, I also discovered the idea of spreading mayonnaise onto the outer faces of the bread to give it a “golden, delectable crunch”. This I had to try! I used a few thin slices of colby jack cheese. The results were really good! Shown here: Thin Slim Zero Carb Bread which you can get from Netrition and Amazon (it’s even on Amazon Prime, but at a higher price than Netrition). But I wasn’t satisfied. I wanted MORE. So when I stumbled on the idea of adding a FRIED EGG. I just had to do it. 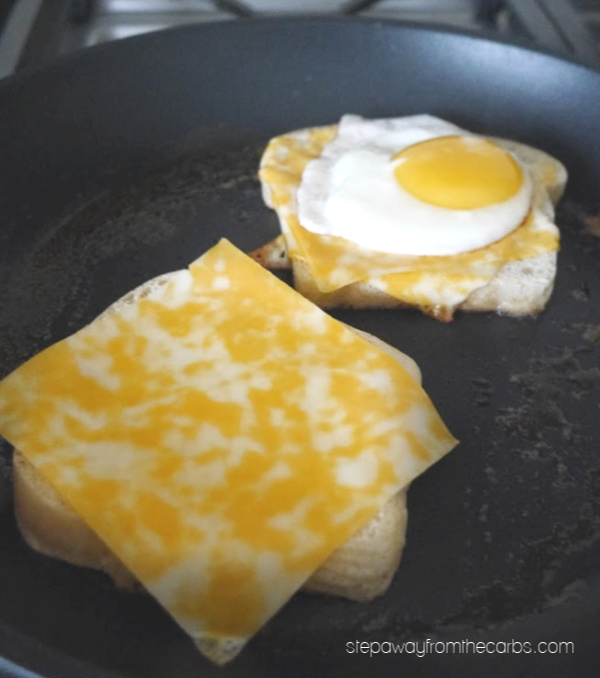 I prepared the bread in the same way, but because the grilled cheese wasn’t going to be flipped once it had the egg inside, I fried both pieces of bread (mayo side down) at the same time. 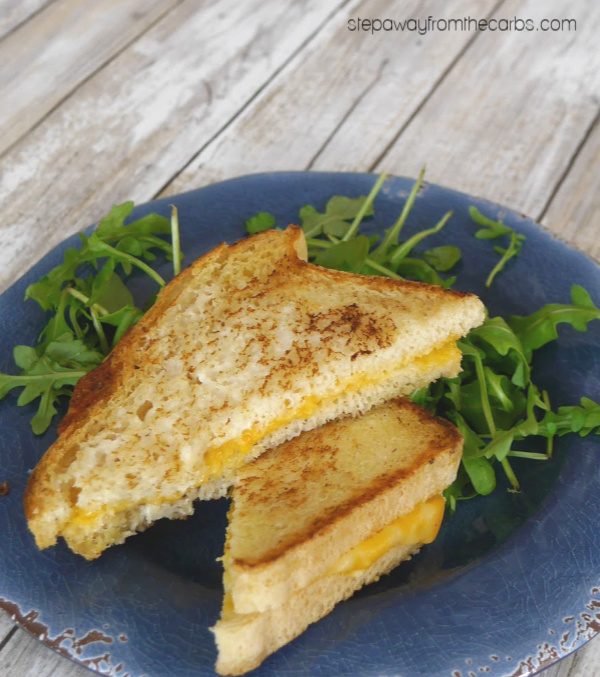 I added two thin slices of cheese to one, and one to the other – but I may as well have added two to both! I cooked the egg at the same time, and then slid it onto one of the pieces of bread when it was ready. Then I carefully closed up the sandwich by placing the other piece of bread over the top of the egg. I can’t tell you how good this was! Well, I can try! Ooey, gooey, filling, and satisfying. The perfect low carb comfort food! Melt the butter in a large skillet. Spread the mayonnaise onto one side of each piece of bread. 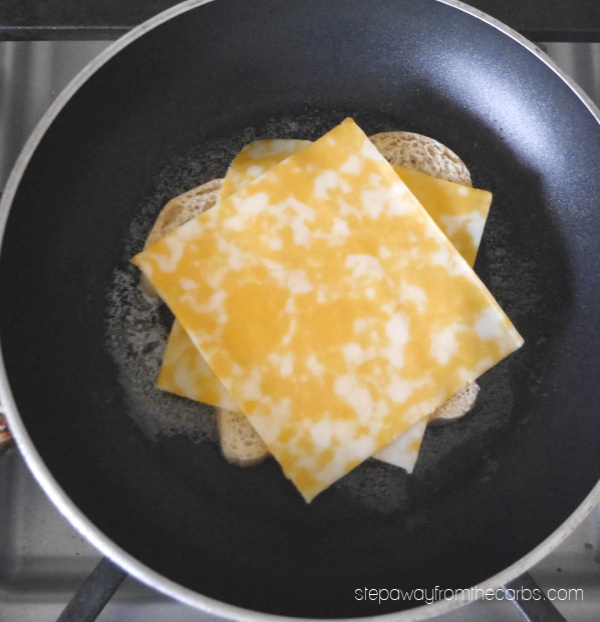 Place both pieces of bread mayo-side-down into the skillet, and add the cheese. Meanwhile, fry the egg in a separate skillet. Once the egg has cooked, place it onto one of the pieces of bread. 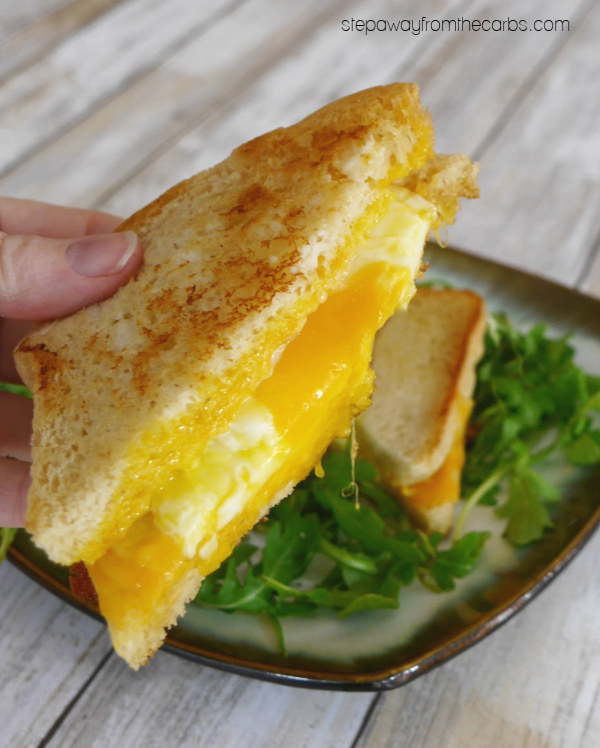 Carefully close the sandwich by placing the other piece of bread over the top of the egg. 4g net carbs per serving (the whole recipe) based on using low carb bread with 1g net carb per slice. 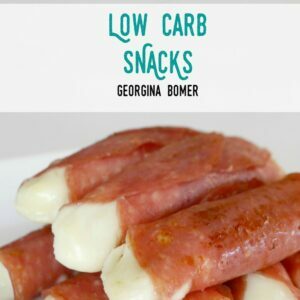 Check out my Low Carb Snacks Recipes Ebook! If you need more snack ideas, check out my book! 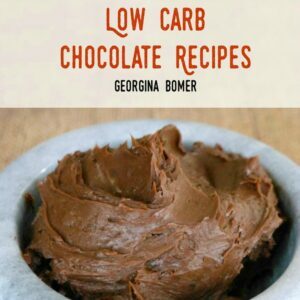 Over 70 delicious sweet and savory recipes - all low carb, sugar free, and gluten free!